1 What is an arborist? 2 When do I need the help of an arborist? 3 What certification is available for arborists? An arborist, or alternatively, an arborculturist, is an individual who is qualified in the care of trees and woody plants (which would include shrubs and vines), involving all aspects of planting, raising, maintaining, treating disease, including soil composition and water techniques. Individual states and private organizations have certification procedures which provide credentials for arborists that require specific minimum standard of knowledge and experience in the field. Arborists may have different training and background experience, including 4-year degrees in arboriculture, horticulture, landscape architecture, or forestry or three years continuous employment in a tree-care profession. Arborists focus more on the care and maintenance of individual trees whereas foresters are concerned with the needs of forests as a whole, of course since forests are made of trees, foresters would require knowing as much about trees as arborists. Arborist work includes: the planting, transplanting, pruning, and structural support of trees, lightning protection, preventing and treating disease and parasites, preventing and interrupting grazing and predation, and removing vegetation that represents any type of hazard. Arborists may specialize in any number of these areas and provide actual tree services with ropes and climbing and/or lifts and cranes, or possibly focus on more administrative aspects such as consulting, legal testimony and planning. 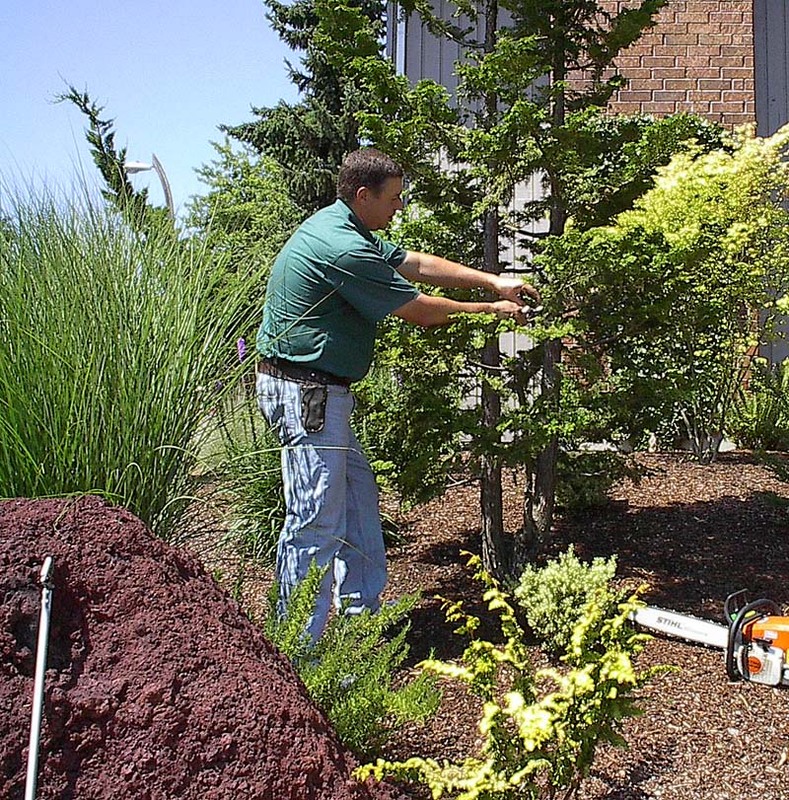 Additionally, arborists are expected to be well-versed in all safety aspects required in the profession as well as techniques for felling, climbing and ropework in trees. Being qualified in this important area may protect you insurance-wise if any type of accident occurs while working on your property. When do I need the help of an arborist? Prospective home/land buyers where there are trees present would do well to consult an arborist as part of the purchasing process in order to have a good idea of what will be involved in maintaining the trees, understanding the general health and degree of risk in the trees. If there are no trees present, an arborist would also be very helpful in understanding which tree varieties would thrive in that particular location and achieve the desired goals of the plantings. Anyone owning property with trees would do well to consult with an arborist at least once every five years just to have a good understanding of how growth is progressing and determine any tree risk to buildings or other property. Trees, because of their longevity potential, are more like physical features of the environment. But factors such as weather, climate, water and air quality, insect and disease threats which can vary in their impacts through the years may reduce that longevity and the professional arborist is able to recognize and potentially provide some degree of mitigation. What certification is available for arborists? ISA or the International Society of Arboriculture is one of the leading certification organizations for arborists. A significant level of expertise is required for the Certified Arborist rating on the following topics: soil management, tree biology, identification, installation, establishment and pruning, diagnosis and treatment of threats, safe work practices, urban forestry, protection, preservation, and tree risk management. Other specialized certifications that ISA offers include: utility, municipal, tree worker climber, tree work aerial lifts and master arborist. Some states have their own certification system. New Jersey, for example, has a Licensed Tree Expert certification system in place (see www.treeexpertsociety.org ). Any of these tree society websites contain a wealth of information that you can take advantage of in developing a greater understanding of how to develop and maintain your own greenscape in partnership with a knowledgeable and professionally competent arborist.